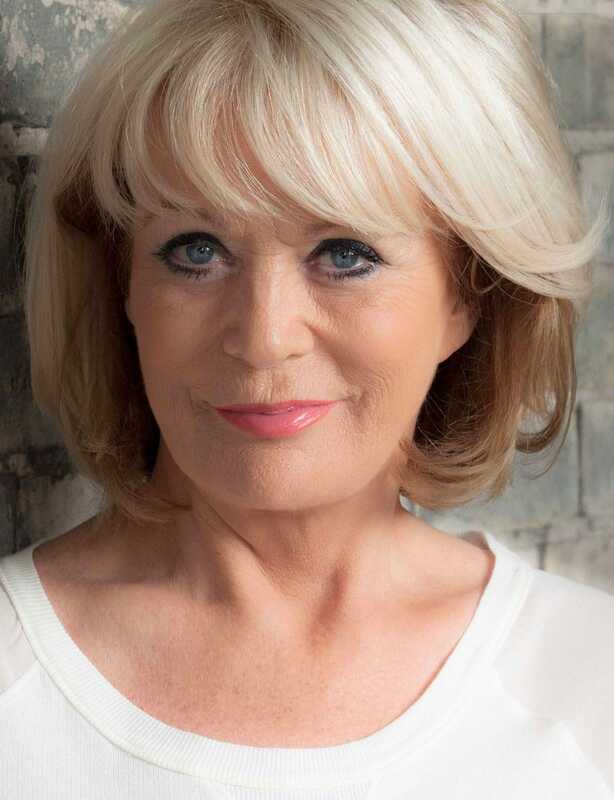 Well known for starring as Maureen Webster in long-running soap, Coronation Street , Sherrie Hewson is one of the UK's most popular television personalities who can regularly be found on some of the most popular British television programmes. From an early age Sherrie demonstrated her love of all things show business performing in UK theatres for the first time when she was just six years old. Her first venture into the world of television and film came in the 1970s, most famously in Carry On Behind and Carry On Laughing . Making a name for herself in the industry she also starred alongside legendary Hollywood actor Harrison Ford in the 1979 film Hanover Street. In 1993 she was cast in Coronation Street in the role of ditzy, shop worker Maureen Webster. Over the years she had many high-profile storylines on the show, and departed the soap in 1997. Since then she has showcased her acting ability on a number of shows including Emmerdale, Benidorm and Crossroads. In 2003 she joined the panel of daytime show Loose Women discussing and debating current affairs with her fellow panellists. Due to her bubbly and likeable personality, she was an instant hit and worked on the show for 13 years. Since leaving Loose Women she has appeared on the show as a guest. 1972 – Makes her debut on television in The Moonstone. 1975 – Appears in her first Carry On film. 1993 – Joins Coronation Street. 1997 – Departs Coronation Street but reappears for a stint in 2006. 2003 – Becomes a panellist on daytime show Loose Women. 2012 – Joins the cast of Benidorm. 2015 – Enters Celebrity Big Brother house. Before becoming a regular on British television, Sherrie Hewson attended the prestigious Royal Academy of Dramatic Art where she learned her craft. Her first appearance on screen came in 1972 on the television show The Moonstone but it was a few years later, in 1975 when she joined the cast of the famous Carry On films that Sherrie began to gain popularity. Sherrie went on to appear in Z Cars , Love for Lydia and Hanover Street appearing opposite Harrison Ford. In 1993 she joined the cast of long-running British soap Coronation Street starring as Maureen Webster where she was an instant hit. In 1997 she left the show to pursue other interests but due to her popularity, she briefly re-joined the cast as part of the 2006 Christmas storyline. Sherrie is also well known for appearing on daytime panel show Loose Women which she joined in 2003. Sherries’ comedic nature has also seen her appear in some of the UK's biggest sitcoms including Benidorm and Are You Being Served? In 2015 she became one of the housemates on the 16th series of Celebrity Big Brother, once again demonstrating her larger than life personality. Sherrie continues to delight audiences on every show she appears on, continuing to feature on some of the UK's biggest programmes. Due to her significant public presence, Sherrie Hewson is ideal for a range of brand endorsements, media work and ambassadorial roles. Extremely charitable, she regularly uses her position in the public eye to support good causes such as animal rights charities. Able to expose brands to a wide audience on social media, this was demonstrated with her work with holiday firm, Shearings. Signing a one-year ambassadorial deal with the firm, Sherrie used her social media to promote the brand to promote them and appeared in meet and greets.